Be sure to check in no later than 21:00. 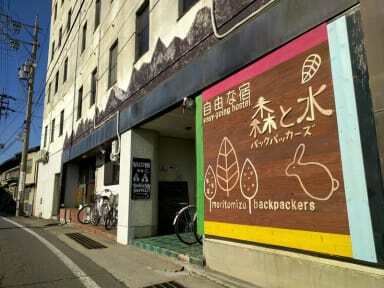 Our hostel is only a 5-minute walk from Nagano Station. 30 minutes' walk takes you to Zenkoji Temple, one of the most famous and biggest wooden temples in Japan. 3. Such large cities as Tokyo, Nagoya, Kyoto and Osaka. [You may be able to leave your bags before you check in or after you check out. 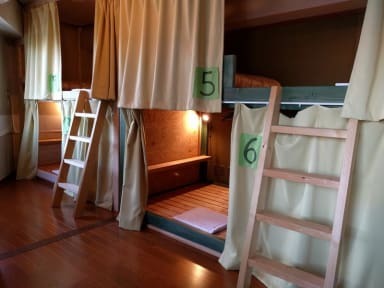 [We kindly ask you to leave the hostel during this time, even if you are staying for another night. We have Female/Mixed Dorms and Private Rooms. Get relaxed in our tatami-floored living room. You can cook in the well-equipped kitchen. A supermarket, which is open until 19:30, is only a 1-minute walk.